An expert in wills, trusts, estates, and fiduciary administration, Robert H. Sitkoff is the John L. Gray Professor of Law at Harvard Law School, where he was the youngest professor with tenure to receive a chair in the history of the school. Sitkoff previously taught at New York University School of Law and at Northwestern University School of Law. He has won three distinguished teaching awards. Sitkoff’s research focuses on economic and empirical analysis of trusts, estates, and fiduciary administration. 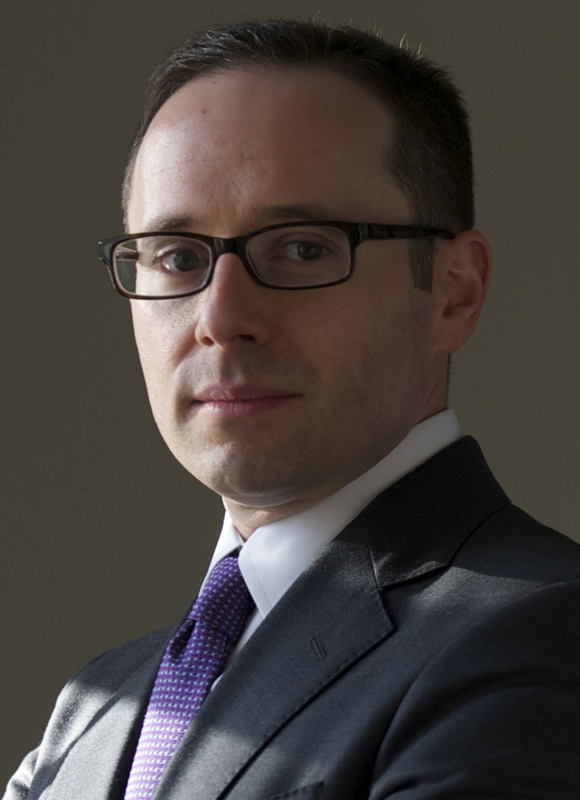 His work has been published in leading scholarly journals such as the Yale Law Journal, the Stanford Law Review, the Columbia Law Review, the Journal of Law and Economics, and the Journal of Empirical Legal Studies. Sitkoff is the lead coauthor of Wills, Trusts, and Estates (Aspen 10th ed. 2017), the most popular American coursebook on trusts and estates, and he is an editor of the forthcoming Oxford Handbook of Fiduciary Law, to be published by Oxford University Press. Sitkoff’s research has been featured in the New York Times, Wall Street Journal, and Financial Times, among other media. Sitkoff is an active participant in trusts and estates law reform. He serves under Massachusetts gubernatorial appointment on the Uniform Law Commission (ULC). Within the ULC, he was Chair of the Drafting Committee for the Uniform Directed Trust Act and he is a liaison member of the Joint Editorial Board for Uniform Trusts and Estates Acts. He previously served as a member of several other drafting committees for uniform trusts and estates acts and as the Reporter for the Uniform Statutory Trust Entity Act (last revised 2013). Within the American Law Institute, Sitkoff is a member of the Council, the Institute’s Board of Directors, and he is a member of the Council’s Projects Committee. He is currently an Adviser for the Restatement of Charitable Nonprofits and for the Restatement (Third) of Conflict of Laws. He previously served on the consultative groups for the Restatement (Third) of Trusts and the Restatement (Third) of Property: Wills and Other Donative Transfers. Sitkoff serves as an advisory consultant and expert witness in litigation and regulatory matters involving wills, trusts, estates, and fiduciary administration. He has also led training workshops for trust officers and other professional fiduciaries. Sitkoff edits the Wills, Trusts, and Estates abstracting journal in the Social Science Research Network, is a past chair of the Section on Trusts and Estates of the Association of American Law Schools, and is an academic fellow of the American College of Trust and Estate Counsel. Prior to joining the legal academy, Sitkoff was a law clerk to then Chief Judge Richard A. Posner of the United States Court of Appeals for the Seventh Circuit. At the University of Chicago Law School, from which he graduated with High Honors, Sitkoff was the Managing Editor of the Law Review, was selected for the Order of the Coif, and was awarded the Olin Prize as the outstanding graduate of his class in law and economics. Robert H. Sitkoff & Jesse Dukeminier, Wills, Trusts, and Estates (Wolters Kluwer Law & Bus. 10th ed. 2017). John C.P. Goldberg & Robert H. Sitkoff, Torts and Estates: Remedying Wrongful Interference with Inheritance, 65 Stan. L. Rev. 335 (2013). This Article examines the nature, origin, and policy soundness of the tort of interference with inheritance. We argue that the tort should be repudiated because it is conceptually and practically unsound. Endorsed by the Second Restatement of Torts and recognized by the U.S. Supreme Court in a recent decision, the tort has been adopted by courts in nearly half the states. But it is deeply problematic from the perspectives of both inheritance law and tort law. It undermines the core principle of freedom of disposition that undergirds American inheritance law. It invites circumvention of principled policies encoded in the specialized rules of procedure applicable in inheritance disputes. In many cases, it has displaced venerable and better-fitting causes of action for equitable relief. It has a derivative structure that violates the settled principle that torts identify and vindicate rights personal to the plaintiff. We conclude that the emergence of the interference-with-inheritance tort is symptomatic of two related and unhealthy tendencies in modern legal thought: the forgetting of restitution and equitable remedies, and the treatment of tort as an unstructured delegation of power to courts to impose liability whenever doing so promises to deter antisocial conduct or compensate victims of such conduct. Robert H. Sitkoff & Jonathan Klick, Agency Costs, Charitable Trusts, and Corporate Control: Evidence from Hershey's Kiss-Off, 108 Colum. L. Rev. 749 (2008). In July 2002 the trustees of the Milton Hershey School Trust announced a plan to diversify the Trust's investment portfolio by selling the Trust's controlling interest in the Hershey Company. The Company's stock jumped from $62.50 to $78.30 on news of the proposed sale. But the Pennsylvania Attorney General, who was then running for governor, opposed the sale on the ground that it would harm the local community. Shortly after the Attorney General obtained a preliminary injunction, the trustees abandoned the sale and the Company's stock dropped to $65.00. Using standard event study methodology, we find that the sale announcement was associated with a positive abnormal return of over 25% and that canceling the sale was followed by a negative abnormal return of nearly 12%. Our findings imply that instead of improving the welfare of the needy children who are the Trust's main beneficiaries, the Attorney General's intervention preserved charitable trust agency costs of roughly $850 million and foreclosed salutary portfolio diversification. Furthermore, blocking the sale destroyed roughly $2.7 billion in shareholder wealth, reducing aggregate social welfare by preserving a suboptimal ownership structure of the Company. Our analysis contributes to the literature of trust law by supplying the first empirical analysis of agency costs in the charitable trust form and by highlighting shortcomings in supervision of charities by the state attorneys general. We also contribute to the literature of corporate governance by measuring the change in the Company's market value when the Trust exposed the Company to the market for corporate control. Robert H. Sitkoff & Max Schanzenbach, Did Reform of Prudent Trust Investment Laws Change Trust Portfolio Allocation?, 50 J.L. & Econ. 681 (2007). Robert H. Sitkoff, Fiduciary Principles in Trust Law, in The Oxford Handbook of Fiduciary Law (Evan J. Criddle, Paul B. Miller, and Robert H. Sitkoff eds., Oxford Univ. Press forthcoming 2019). Robert H. Sitkoff, Other Fiduciary Duties: Implementing Loyalty and Care, in The Oxford Handbook of Fiduciary Law (Evan J. Criddle, Paul B. Miller & Robert H. Sitkoff eds., Oxford Univ. Press forthcoming 2019). Max M. Schanzenbach & Robert H. Sitkoff, The Law and Economics of Environmental, Social, and Governance Investing by a Fiduciary (September 5, 2018). The use of environmental, social, and governance (ESG) factors in investing is increasingly common and widely encouraged by investment professionals and non-government organizations. However, trustees and other fiduciary investors in the United States, who manage trillions of dollars, have raised concerns that using ESG factors violates the fiduciary duty of loyalty. Under the “sole interest rule” of trust fiduciary law, a trustee or other investment fiduciary must consider only the interests of the beneficiary. Accordingly, a fiduciary’s use of ESG factors, if motivated by the fiduciary’s own sense of ethics or to obtain collateral benefits for third parties, violates the duty of loyalty. On the other hand, some academics and investment professionals have argued that ESG investing can provide superior risk-adjusted returns. On this basis, some have even argued that ESG investing is required by the fiduciary duty of care. Against this backdrop of uncertainty, this paper examines the law and economics of ESG investing by a fiduciary. We differentiate “collateral benefits” ESG from “risk-return” ESG, and we provide a balanced assessment of the theory and evidence from financial economics about the possibility of persistent, enhanced returns from risk-return ESG. We show that ESG investing is permissible under trust fiduciary law only if two conditions are satisfied: (1) the fiduciary believes in good faith that ESG investing will benefit the beneficiary directly by improving risk-adjusted return, and (2) the fiduciary’s exclusive motive for ESG investing is to obtain this direct benefit. We reject the claim that the law imposes any specific investment strategy on fiduciary investors, ESG or otherwise. We also consider how the law should assess ESG investing by a fiduciary if authorized by the terms of a trust or a beneficiary or if it would be consistent with a charity’s purpose, clarifying such cases by asking whether a distribution would have been permissible under similar circumstances. Robert H. Sitkoff, Freedom of Disposition in American Succession Law, in Freedom of Testation and its Limits (Antoni Vaquer ed., forthcoming 2018). The organizing principle of the American law of succession is freedom of disposition. This book chapter surveys freedom of disposition in American succession law--intestacy, wills, trusts, and nonprobate transfers. The chapter also considers the main limits on freedom of disposition, focusing on forced shares for spouses, the Rule Against Perpetuities, and the federal wealth transfer taxes. For the most part, however, the American law of succession facilitates rather than regulates implementation of the decedent’s intent. Most of the American law of succession is concerned with enabling posthumous enforcement of the actual intent of the decedent or, failing this, giving effect to the decedent’s probable intent. Note: The chapter is based on the author’s remarks at the Conference on Freedom of Testation and its Limits at the University of Lleida, Spain, on 20 April 2018. Robert H. Sitkoff & Max M. Schanzenbach, Lawyers, Banks, and Money: The Revolution in American Trust Law (Yale Univ. Press, forthcoming 2018). John Morley & Robert H. Sitkoff, Making Directed Trusts Work: The Uniform Directed Trust Act, 44 ACTEC L.J. 1 (2018). Directed trusts have become a familiar feature of trust practice in spite of considerable legal uncertainty about them. Fortunately, the Uniform Law Commission has just finished work on the Uniform Directed Trust Act (UDTA), a new uniform law that offers clear solutions to the many legal uncertainties surrounding directed trusts. This article offers an overview of the UDTA, with particular emphasis on four areas of practical innovation. The first is a careful allocation of fiduciary duties. The UDTA’s basic approach is to take the law of trusteeship and attach it to whichever person holds the powers of trusteeship, even if that person is not formally a trustee. Thus, under the UDTA the fiduciary responsibility for a power of direction attaches primarily to the trust director (or trust protector or trust adviser) who holds the power, with only a diminished duty to avoid “willful misconduct” applying to a directed trustee (or administrative trustee). The second innovation is a comprehensive treatment of non-fiduciary issues, such as appointment, vacancy, and limitations. Here again, the UDTA largely absorbs the law of trusteeship for a trust director. The UDTA also deals with new and distinctive subsidiary problems that do not arise in ordinary trusts, such as the sharing of information between a trustee and a trust director. The third innovation is a reconciliation of directed trusts with the traditional law of co-trusteeship. The UDTA permits a settlor to allocate fiduciary duties between co-trustees in a manner similar to the allocation between a trust director and directed trustee in a directed trust. A final innovation is a careful system of exclusions that preserves existing law and settlor autonomy with respect to tax planning, revocable trusts, powers of appointment, and other issues. All told, if appropriately modified to fit local policy preferences, the UDTA could improve on the directed trust law of every state. The UDTA can also be used by practitioners in any state to identify the key issues in a directed trust and find sensible, well-drafted solutions that can be absorbed into the terms of a directed trust. John Morley & Robert H. Sitkoff , The New Uniform Directed Trust Act Paves the Way for Creative and Thoughtful Divided Trusteeship, in 52 Annual Heckerling Institute on Estate Planning ch. 14 (Tina Portando ed., 2018). This chapter summarizes the four areas of practical innovation of the Uniform Directed Trust Act (UDTA). The first is a careful allocation of fiduciary duties. The UDTA’s basic approach is to take the law of trusteeship and attach it to whichever person holds the powers of trusteeship, even if that person is not formally a trustee. Thus, under the UDTA the fiduciary responsibility for a power of direction attaches primarily to the trust director (or trust protector or trust adviser) who holds the power, with only a diminished duty to avoid “willful misconduct” applying to a directed trustee (or administrative trustee). The second innovation is a comprehensive treatment of non-fiduciary issues, such as appointment, vacancy, and limitations. Here again, the UDTA largely absorbs the law of trusteeship for a trust director. The UDTA also deals with new and distinctive subsidiary problems that do not arise in ordinary trusts, such as the sharing of information between a trustee and a trust director. The third innovation is a reconciliation of directed trusts with the traditional law of co-trusteeship. The UDTA permits a settlor to allocate fiduciary duties between co-trustees in a manner similar to the allocation between a trust director and directed trustee in a directed trust. The fourth innovation is a careful system of exclusions that preserves existing law and settlor autonomy with respect to tax planning, revocable trusts, powers of appointment, and other issues. Prepared for the 2018 Heckerling Institute on Estate Planning at the University of Miami, this chapter is an abridgment of John D. Morley & Robert H. Sitkoff, Making Directed Trusts Work: The Uniform Directed Trust Act, 44 ACTEC L.J. 1 (2018, Forthcoming). Robert H. Sitkoff, The Rise of Trust Decanting in the United States, 23 T. & T. 976 (2017). Robert H. Sitkoff, Book Review, 76 Cambridge L.J. 674 (2017) (reviewing Birke Häcker & Charles Mitchell, Current Issues in Succession Law (2016) & Passing Wealth on Death: Will-Substitutes in Comparative Perspective (Alexandra Braun & Anne Röthel eds., 2016). Max M. Schanzenbach & Robert H. Sitkoff, The Prudent Investor Rule and Market Risk: An Empirical Analysis, 14 J. Empirical Legal Stud. 129 (2017). The prudent investor rule, enacted in every state over the last 30 years, is the centerpiece of trust investment law. Repudiating the prior law's emphasis on avoiding risk, the rule reorients trust investment toward risk management in accordance with modern portfolio theory. The rule directs a trustee to implement an overall investment strategy having risk and return objectives reasonably suited to the trust. Using data from reports of bank trust holdings and fiduciary income tax returns, we examine asset allocation and management of market risk before and after the reform. First, we find that the reform increased stockholdings, but not among banks with average trust account sizes below the 25th percentile. This result is consistent with sensitivity in asset allocation to trust risk tolerance. Second, we present evidence consistent with increased portfolio rebalancing after the reform. We conclude that the move toward additional stockholdings was correlated with trust risk tolerance, and that the increased market risk exposure from additional stockholdings was more actively managed. Robert H. Sitkoff & Max M. Schanzenbach, Financial Advisers Can't Overlook the Prudent Investor Rule, 29 J. Fin. Plan. 28 (Aug. 2016). The article reports on the rule imposed by the U.S. Department of Labor (DOL) which imposes the trust law duty of care or the prudent investor rule under the Employee Retirement Income Security Act (ERISA) on investment advisors of individual retirement account (IRA) owners or to retirement plan beneficiaries. Topics discussed include duties of trustees under the trust law duty of loyalty, and the role of an investment policy statement in sound fiduciary investment practice. Robert H. Sitkoff & David Feder, Revocable Trusts and Incapacity Planning: More than Just a Will Substitute, 24 Elder L.J. 1 (2016). From its origins as a conveyancing device used to avoid feudal incidents, the donative trust has evolved into a device for fiduciary management of wealth down the generations (a management trust), for avoiding probate (a will substitute trust), and for avoiding conservatorship (a common secondary use of a will substitute trust). These contemporary uses of donative trusts have been facilitated by a variety of law reforms that, taken together, have effected a functional branching of American donative trust law. The law governing irrevocable and revocable trusts respectively has evolved to accommodate their different predominant uses as management trusts and will substitute trusts. At the same time, however, the law governing revocable trusts has come to deny their additional conservatorship substitute function. We argue that this development was a doctrinal wrong turn. The central descriptive aim of this Article is to draw attention to the common use of a funded revocable trust not only as a will substitute but also as a conservatorship substitute. The central normative claim follows from the descriptive claim. To implement the actual or probable intent of the typical settlor, a funded revocable trust should be treated presumptively as both a will substitute and a conservatorship substitute. The most significant doctrinal implication is that the beneficiaries of a funded revocable trust should have presumptive standing to enforce the trust in the event of the settlor’s incapacity. Max M. Schanzenbach & Robert H. Sitkoff, Fiduciary Financial Advisors and the Incoherence of a 'High-Quality Low-Fee' Safe Harbor (Sept. 16, 2015). Americans now hold trillions of dollars in individual retirement savings accounts. Concerned about conflicts of interest among financial advisers who provide advice to retirement savers, the Department of Labor has proposed imposing fiduciary status and a "best interest" standard on such advisers. To ameliorate the resulting compliance costs, the DOL has also raised the possibility of a safe harbor for certain "high-quality low-fee investments." However, the notion of a "high-quality" investment is in irreconcilable tension with the highly individualized assessment of risk and return that is required by modern portfolio theory, the well-accepted concept from financial economics that has been codified in the "prudent investor rule" as the standard of care for fiduciary investment. This policy incoherence is worrisome because of the potential for the safe harbor to swallow the best interest standard. Steven J. Horowitz & Robert H. Sitkoff, Unconstitutional Perpetual Trusts, 67 Vand. L. Rev. 1769 (2014). Perpetual trusts are an established feature of today’s estate planning firmament. Yet little-noticed provisions in the constitutions of nine states, including in five states that purport to allow perpetual trusts by statute, proscribe “perpetuities.” This Article examines those provisions in light of the meaning of “perpetuity” as a legal term of art across history. We consider the constitutionality of perpetual trust statutes in states that have a constitutional ban on perpetuities and whether courts in states with such a ban may give effect to a perpetual trust settled in another state. Because text, purpose, and history all suggest that the constitutional perpetuities bans were meant to proscribe entails, whether in form or in function, and because a perpetual trust is in purpose and in function an entail, we conclude that recognition of perpetual trusts is prohibited in states with a constitutional perpetuities ban. Robert H. Sitkoff, An Economic Theory of Fiduciary Law, in Philosophical Foundations of Fiduciary Law 197 (Andrew S. Gold & Paul B. Miller eds., Oxford Univ. Press, 2014). Indeed, this book not only offers a much-needed theoretical assessment of fiduciary topics, it defines the field going forward, setting an agenda for future philosophical study of fiduciary law. Robert H. Sitkoff, Trusts and Estates: Implementing Freedom of Disposition, 58 St. Louis U. L.J. 643 (2014). Robert H. Sitkoff, The Fiduciary Obligations of Financial Advisors Under the Law of Agency, 27 J. Fin. Planning, Feb. 2014, at 42. Robert H. Sitkoff, Trust Law as Fiduciary Governance Plus Asset Partitioning, in The Worlds of the Trust 428 (Lionel Smith ed., Cambridge Univ. Press 2013). The theme of this essay, a commentary on two papers forthcoming in the same volume on “The Worlds of the Trust,” is that trust law is not a species of property law or contract law, but rather is a species of organizational law. Organizational law supplies a set of contractarian rules, some of a fiduciary character, that provide for the governance of the organization. These are the rules that provide for the powers and duties of the managers and the rights of the beneficial owners. Organizational law also supplies a set of proprietary rules that provide for asset partitioning. These are the rules that provide for the separation of the property of the organization from the property of the organization’s managers, beneficial owners, and other insiders. Classifying trust law as organizational law removes the tension between the contractarian governance and the proprietary asset partitioning features of trust law. Robert H. Sitkoff & Jesse Dukeminier, Wills, Trusts, and Estates (Wolters Kluwer Law & Bus. 9th ed. 2013). Robert H. Sitkoff, The Economic Structure of Fiduciary Law, 91 B.U. L. Rev. 1039 (2011). Robert H. Sitkoff, Top-Down versus Bottom-Up Law Reform in Trusts and Estates: Future Interests and Perpetuities, JOTWELL (Nov. 22, 2010). Robert H. Sitkoff & Max M. Schanzenbach, The Prudent Investor Rule and Trust Asset Allocation: An Empirical Analysis, 35 ACTEC J. 314 (2010). This article reports the results of an empirical study of the effect of the new prudent investor rule on asset allocation by institutional trustees. Using federal banking data spanning 1986 through 1997, the authors find that, after adoption of the new prudent investor rule, institutional trustees held about 1.5 to 4.5 percentage points more stock at the expense of "safe" investments. This shift to stock amounts to a 3 to 10 percent increase in stock holdings and accounts for roughly 10 to 30 percent of the over-all increase in stock holdings in the period under study. The authors conclude that the adoption of the new prudent investor rule had a significant effect on trust asset allocation. Jesse Dukeminier, Robert H. Sitkoff & James Lindgren, Wills, Trusts, and Estates (Aspen Publishers 8th ed. 2009). Robert H. Sitkoff & Max Schanzenbach, Perpetuities, Taxes, and Asset Protection: An Empirical Assessment of the Jurisdictional Competition for Trust Funds, in 42 Annual Heckerling Institute on Estate Planning ch. 12 (Tina Portando ed., Lexis-Nexis 2008). This chapter provides an accessible overview of our previous work on the impact of the abolition of the Rule Against Perpetuities (RAP) on trust fund situs. The implementation of the Generation Skipping Transfer (GST) Tax by the Tax Reform Act of 1986 sparked a movement to repeal the RAP. Since 1986, nearly half the states have abolished or effectively abolished the RAP as applied to interests in trust. Prior to 1986, only three states had abolished the RAP. We find no evidence that abolishing the RAP prior to the 1986 GST tax attracted trust business. By contrast, between 1986 and 2003, abolishing states reported an average increase in trust assets of $6 billion (a 20 percent increase). In addition, average account size in abolishing states increased by $200,000, implying that abolishing the rule attracted relatively larger trusts. Our findings imply that roughly $100 billion in trust funds have moved to take advantage of the abolition of the RAP. Further, we can trace these results to the subset of abolishing states that did not levy a tax on income accumulated in trusts attracted from out of state. This finding, which implies that abolishing the RAP does not directly increase state tax revenue, bears on the scholarly debate over the mechanisms of jurisdictional competition. Our analysis also controls for whether a state validated the so-called self-settled asset protection trust (APT). We did not find consistent evidence that validating APTs increases a state's reported trust business, but in the period studied few states had validated APTs, so we draw no firm conclusions. We conclude that the jurisdictional competition for trust funds is real and intense, with the primary margin of competition being the rules that bear on trust duration, and that the enactment of the GST tax sparked the rise of the perpetual trust. In future work using more refined data, we intend to revisit the jurisdictional competition for trust funds and to expand our inquiry to include directed trustee statutes and the recent reforms to trust-investment laws. Robert H. Sitkoff, The American Statutory Business Trust: A Research Agenda, in Regulation of Wealth Management 17 (Hans Tijo ed., National University of Singapore 2008). The trust has long competed with the corporation as a form of business organization. Although today the corporate form dominates the trust for the organization of operating enterprises, the trust dominates the corporation in a handful of specialized niches. The market value of these niches measures in the trillions of dollars. Yet the modern business trust has only recently begun to be subjected to scholarly inquiry. Accordingly, this essay outlines a research agenda for the study of the trust -- in particular, the modern statutory business trust -- as a form of business organization. Robert H. Sitkoff & Max Schanzenbach, Perpetuities or Taxes? Explaining the Rise of the Perpetual Trust, 27 Cardozo L. Rev. 2465 (2006). By abolishing the Rule Against Perpetuities, twenty-one states have validated perpetual trusts. The prevailing view among scholars is that enactment of the generation skipping transfer (GST) tax in 1986 prompted the movement to abolish the Rule by conferring a salient tax advantage on long-term trusts. However, an alternate view holds that demand for perpetual trusts stems from donors preference for control independent of tax considerations. Proponents of both views have adduced supporting anecdotal evidence. Using state-level panel data on trust assets prior to the adoption of the GST tax, we examine whether a state's abolition of the Rule gave the state an advantage in the jurisdictional competition for trust funds. We find that, prior to the GST tax, a state s abolition of the Rule did not increase the state s trust business. By contrast, in a prior study we found that, between the enactment of the GST tax and 2003, states that abolished the Rule experienced a substantial increase in trust business. Accordingly, we conclude that theenactment of the GST tax prompted the rise of the perpetual trust. These findings bear on the debate over proposals to liberalize the law of trust termination and modification and to amend the GST tax. Our findings also contribute to the literature on the bequest motive. Robert H. Sitkoff, The Lurking Rule Against Accumulations of Income, 100 Nw. U. L. Rev. 501 (2006). For 200 years the rule against accumulations of income, which limits the time during which a settlor may direct the trustee to accumulate and retain income in trust, has lurked in the shadow of its older and more distinguished cousin, the Rule Against Perpetuities. With the erosion of the Rule Against Perpetuities, however, the rule against accumulations may have newfound relevance. Perpetual trusts are more likely than ordinary trusts to involve accumulations of income, and such trusts are designed to endure beyond the permissible common law accumulations period. This essay examines the relevance of the rule against accumulations for the rise of the perpetual trust. The essay also assesses the contemporary policy soundness of the accumulations rule. Robert H. Sitkoff & Max Schanzenbach, Jurisdictional Competition for Trust Funds: An Empirical Analysis of Perpetuities and Taxes, 115 Yale L.J. 356 (2005). Robert H. Sitkoff, The Trust as "Uncorporation": A Research Agenda, 2005 U. Ill. L. Rev. 31 (2005). Jesse Dukeminier, Stanley M. Johanson, James Lindgren & Robert H. Sitkoff, Wills, Trusts, and Estates (Aspen Publishers 7th ed. 2005). Robert H. Sitkoff, An Agency Costs Theory of Trust Law, 89 Cornell L. Rev. 621 (2004). Robert H. Sitkoff, Politics and the Business Corporation, 26 Reg. Winter 2003-2004, at 30. This essay explores the policy bases for, and the political economy of, the law's long-standing regulation of corporate political speech. The essay has three parts. First, it contends that the conventional justifications for regulating corporate interventions in politics -- that corporate donations unnaturally skew the political discourse (bad politics) and that corporate political donations harm shareholders (agency costs) -- assume irrational investors and substantial capital market inefficiency. Drawing on public choice theory, the essay also explores the aim of retarding rent-seeking as an alternative justification for regulating corporate interventions in politics. Second, the essay reexamines the history of the regulation of corporate political speech and suggests a political economy analysis whereby corporations favored limitations on corporate donations in order to obtain protection from rent extraction by politicians. Finally, the essay explores the implications of this analysis for the modern regulation of corporate political donations. Robert H. Sitkoff, Trust Law, Corporate Law, and Capital Market Efficiency, 28 J. Corp. L. 565 (2003). In both the publicly-traded corporation and the private donative trust a crucial task is to minimize the agency costs that arise from the separation of risk-bearing and management. But where the law of corporate governance evolved in the shadow of capital-market checks on agency costs, trust governance did not. Thus, even more than that of close corporations, the law and study of private trusts offers an illuminating counterfactual - a control, as it were - for a playful thought experiment about the importance of capital market efficiency to the law and study of public corporations. The animating idea for this essay is that many of the differences on the agency costs frontier between the public corporation and the private donative trust can be roughly attributed to their relative positions in modern capital markets and the related disparity in their residual claimants' ease of exit. Among other things, this approach reveals a correlation between the trust law model and the views of corporate law scholars who doubt the ECMH and its implications for corporate governance. The essay also discusses the use of market data for assessing breach and damages in corporate and trust litigation and for empirical evaluation of theoretical scholarly analysis in both fields. More generally, comparison of the governance of the public corporation and the private donative trust brings into view the importance of relative price efficiency for the modern approach to corporate governance. Robert H. Sitkoff, Corporate Political Speech, Political Extortion, and the Competition for Corporate Charters, 69 U. Chi. L. Rev. 1103 (2002). William J. Carney, Jack B. Jacobs, Richard Painter, Robert Pritzker & Robert H. Sitkoff, Roundtable Discussion: Corporate Governance, 77 Chi.-Kent L. Rev. 235 (2001)(Symposium: Theory Informs Business Practice). Robert H. Sitkoff, "Mend the Hold" and Erie: Why an Obscure Contracts Doctrine Should Control in Federal Diversity Cases, 65 U. Chi. L. Rev. 1059 (1998) (student note).